leisuresolutionsuk has no other items for sale. 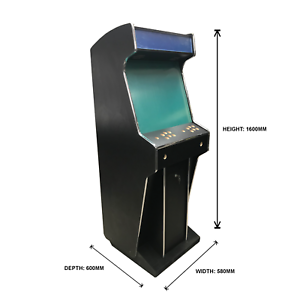 Details about Retro Arcade Machine Cabinet - Upright - Free Delivery! MAME - Gaming - NEW! COMPLETE MONITOR FUNWORLD PHOTOPLAY SPIRIT 2.1 NOS. Immediate payment of £374.99 is required. Thank you for your purchase, please allow up to 2-4 weeks for delivery.